40 - $69.99 Only 1 left! The fashion industry offers us a ton of nuanced and amazingly different styles of clothing to wear depending on the event that we’re getting ready for. The problem is that much of the wealth of attention to crafting outfits that can blend the work day with the night life has been granted to our refined lady half of the population. That is great! However, it does leave a lot of guys rushing home after the day at the office to change from the business suit and tie and into more festive clothing for the after hours celebrations. And, even then, it’s usually just a slightly flashier shirt with the same old suit coat. 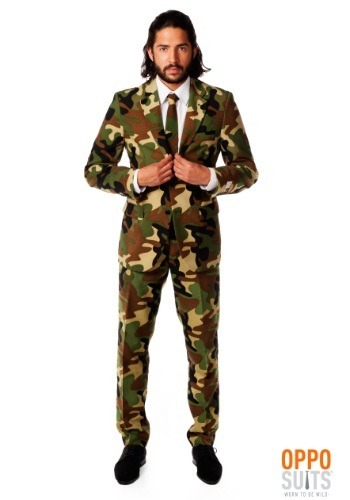 So, what is a guy to do when he wants to really blend in and still feel relaxed at the party afterwards? Well, we can see exactly what you are thinking! Who wants to be the first called out to perform all sorts of difficult and paper-pushing work when you’d rather stand up just for the interesting jobs? Who wants to deal with all of that stress when, instead, you could just lean back into the wall and go unnoticed… take it easy for once and let Linda finally step up for once! 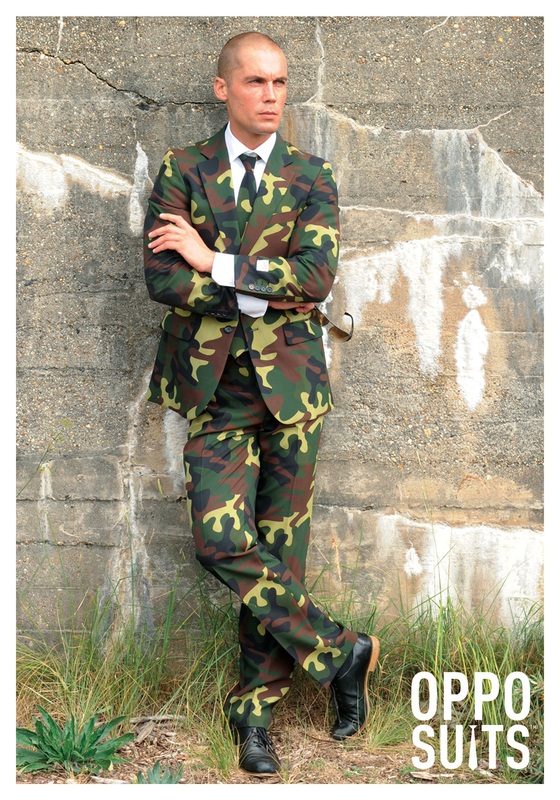 Well, the Men’s OppoSuits Camouflage Suit is the perfect answer for the man looking for a way to keep it classy while still avoiding obvious detection. The fully lined suit jacket is made of comfortable polyester and features two front button closures all with green, brown, and tan grass and leaf cammo print. 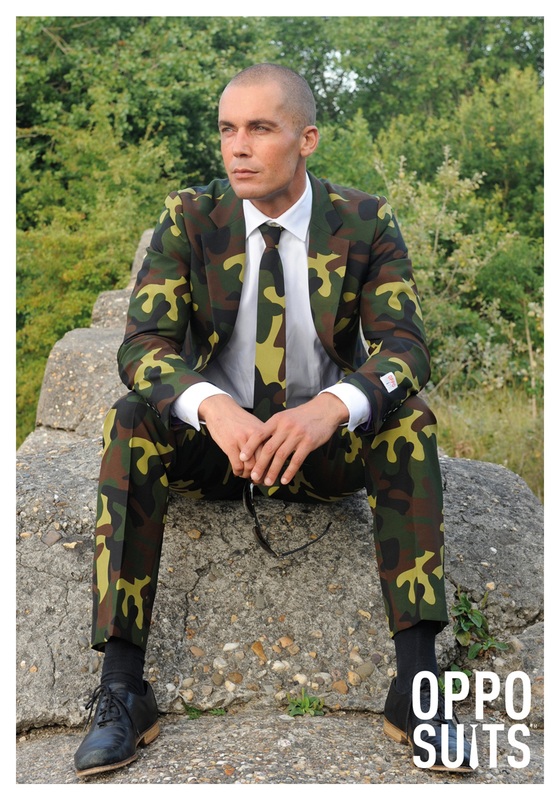 The matching tie and pants show that you’re fully committed to this rugged living. 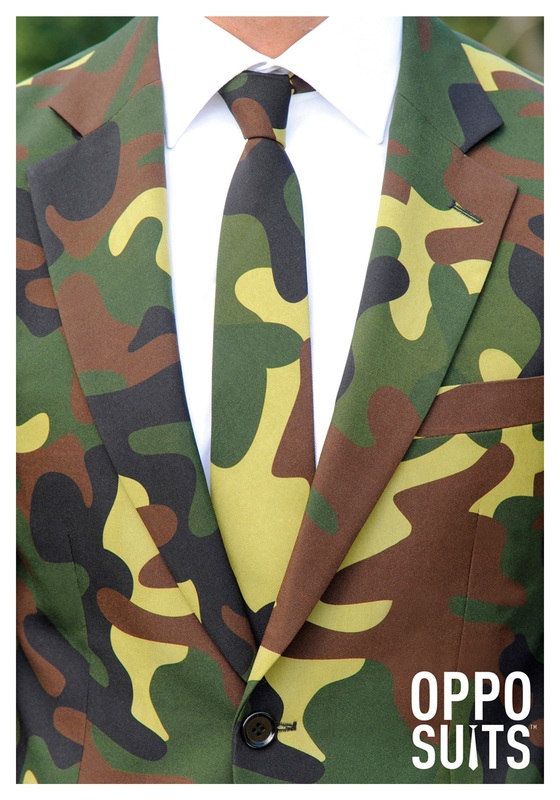 Note that some tailoring may be ideal for a perfect fit, but that will only make your look even better! Be sure to catch all the dirt while they barely even know you’re there and, afterwards, well, you could always make it out to the woods in time for hunting season!